The government shutdown has suspended national services, furloughed thousands of workers, and closed national parks and monuments, and there are few signs of progress toward a solution. But there’s always a way to weasel in some comedy to make light of the situation, and nothing helps illustrate that point more than the satirical bureaucratic ineptitude on Parks And Recreation. 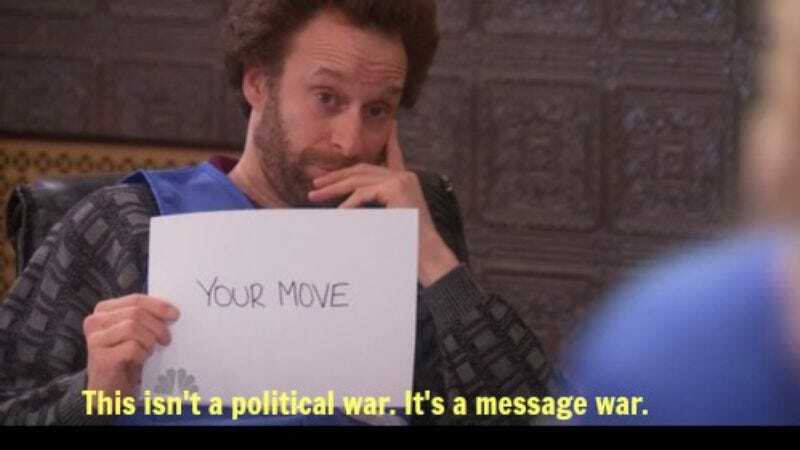 America, You Got Jammed plays up Jon Glaser’s villainous role as Councilman Jeremy Jamm, the man who thwarts all of Leslie Knope’s efforts to do beneficial things for Pawnee. He’s a snake oil salesman of the highest order, and now the comparison of his blatant villainy and the current government's consternation can shed a comedic light on the proceedings for anyone whose political affiliations fall directly in line with the parallel.